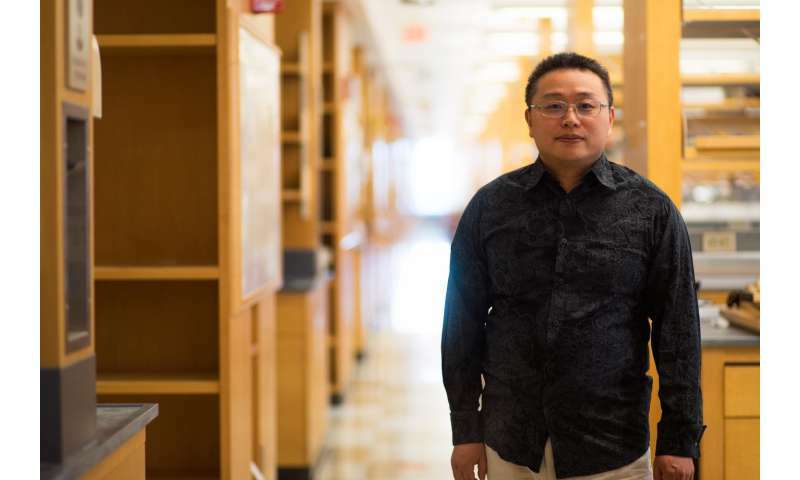 A team led by Gang Han, PhD, has designed a human protein-based, tumor-targeting Magnetic Resonance Imaging (MRI) contrast that can be easily cleared by the body. The discovery holds promise for clinical application, including early stage tumor detection because of the enhanced MRI contrast, according to Dr. Han, associate professor of biochemistry & molecular pharmacology at University of Massachusetts Medical School. MRI is one of the most widely used, noninvasive and versatile imaging tools for clinical detection, staging and monitoring of malignancy, without the need for ionizing radiation or harmful radionuclides. The most frequently employed contrast agents used in MRI are gadolinium (Gd)-based, since they do not provoke an immune response in cells. However, such compounds require high doses of intravenous administration and are retained in the body's organs. In the search for alternative, Han and colleagues focused on proteins, which are naturally occurring nanomaterials. For example, the protein-bound nanoparticle Abraxane can be used to treat metastatic breast cancer. In the same way, protein scaffolds that encapsulate metal-based nanoparticulate contrast agents also appear to enhance the effectiveness of contrast agents. In a paper published June 26 in Nano Letters, ACS Publications, Han and colleagues outlined how human transferrin (Tf) proteins can be used to create an MRI contrast nanoprobe by mimicking the natural process to form special nanoparticles called gadolinium biomineralized human transferrin protein-based nanoparticles or Gd@TfNP. "The Gd@TfNPs preserve the functions of Tf very well, possess superior chemical and physical properties, and are brighter compared to the Gd-based agents currently in use," Han said, adding that the nanoparticles could also be used as tumor-targeting and systematically clearable contrast agents for MR detection of early-stage tumors. "Such probes can immediately leave the tumor sites after delivery and we could track the overall process by MRI. Such a technique might be useful not only for visualizing tumor therapies, but for optimizing drug dose and evaluating clinical results," said Yang Zhao, MD, PhD, of the Second Hospital of Tianjin Medical University and the paper's first author.